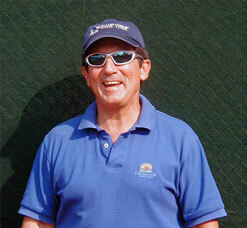 Damon Lopez-O'Dwyer is the Head Pro and Director of Tennis at Triangle Tennis Club. He has been with Hamptons Tennis Company for over 20 years and has vast experience teaching players of all ages and abilities. Damon played college tennis for Hamilton College, a member of the NESCAC conference, where he was captain of the team. Damon has worked at top tennis clubs all over New York and in the UK at the Cambridge Lawn Tennis Club in England. Since 2005 Damon has been the Head Coach of the boys Varsity Tennis team at the Trinity School in New York––a team that has won four consecutive Ivy League titles and in 2016 won the Mayor’s Cup as the top team in the city. Damon has worked with Division I and top Division III recruits, sending players in recent years to play for college programs at Dartmouth College, Johns Hopkins University and Williams College. 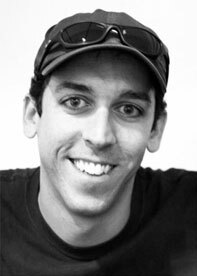 Damon spends his offseason as a freelance writer and has published articles in Inside Tennis Magazine. Ron Ristroph is pleased to be back at Triangle Tennis Club for his twentieth summer season in Southampton. Ron is a full-time tennis pro, and is ranked nationally as well as in California. As the former Director of Tennis at the Hotel Twin Dolphin and as a current Pro, working with all the major hotels and resorts in Cabo San Lucas, Mexico during the winter months, Ron has made tennis possible and more enjoyable for hundreds of people over the years. Unlike many tennis instructors, Ron came to tennis later in life and is able to share his passion by accelerating instruction so that people, regardless of their age and playing level, can improve their game in the shortest amount of time and use the right technique. He has helped philanthropists Bill and Melinda Gates, guitarist Bob Weir of the Grateful Dead, and Andy Summers of the Police to name just a few. The best part of teaching for Ron is helping people enjoy the game of tennis more and to witness the joy they experience when realizing their potential. Annet is a head pro at Buckskill Tennis Club. Anett is a native of Budapest, Hungary where she was a top ranked junior tennis player. 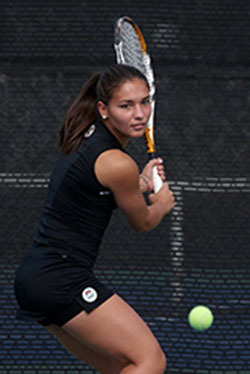 Anett went on to play Division I college tennis on a full scholarship at University of Nevada, Las Vegas for four years. She has experience in conducting private lessons from her time at the Cosmopolitan Hotel and Westgate Resort where she frequently worked with guests. Anett has also spent time as a camp organizer and coached individuals of various ages and playing abilities. Carlos is originally from Venezuela, and has also lived in Germany and Columbia. For the past 10 years Carlos has lived in Boca Raton, Florida where for the past 6 years he has taught at a Country Club. He also trains at the Pro World Tennis Academy with world top ranked players. Carlos is great with both kids and adults and specializes in advance tournament players. He started teaching at the age of 16 and has been teaching full time for the last few years. Carlos is an experienced, dedicated teacher who is returning for his fourth year at Buckskill. Carlos runs our Junior Program as well as teaching adult private lessons and clinics.